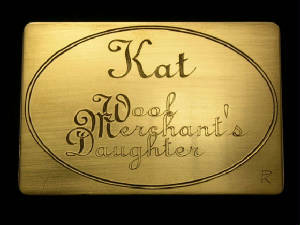 This page features engraving that Peter has done on many different manufactured pieces. Brighten your wardrobe with engraved jewelry created by Peter Kellers, Hand Engraver. Peter creates this beautiful jewelry, often using wax carvings that are cast in metals. 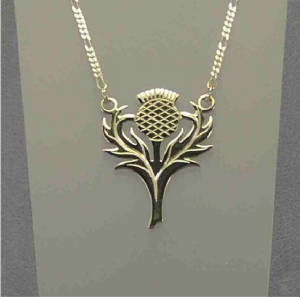 Most of his original designs are cast in sterling silver, unless you request a different metal. His meticulous fine finishing and hand engraving finish the piece. 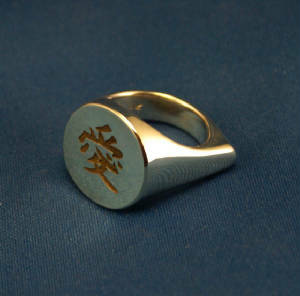 Some items, such as money clips, are bought commercially and then finished and hand engraved. The rest are original, including our rings, pendants, stickpins, earrings, and some bracelets. Peter can take your ideas and bring them to life in the metal of your choice. name plate, brooch, pendant, stickpin, or other item that is uniquely yours. Peter can meet many challenges. A gentleman came to him with the photograph of a tattoo. 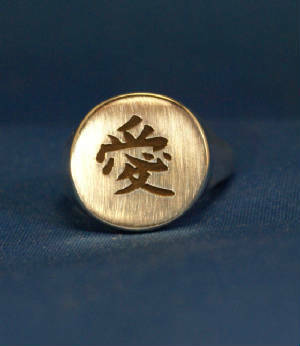 He wanted a signet ring designed with that tattoo engraved on it. 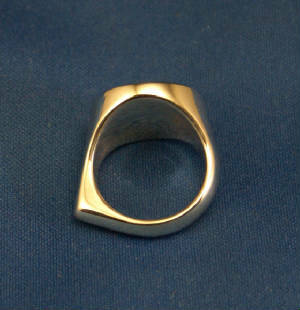 Peter complied, carving the ring in wax and having it cast in silver. He then engraved it as desired, and the man was very satisfied. at left are three photographs of that replacement ring. Again, he had a satisfied customer! 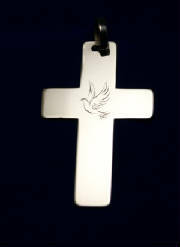 A dear friend lost a child and Peter created the cross at the right for him to wear. For this father, the dove represents his daughter. The plaque below was created for a local historical society to honor its founder. It is 6" x 12". This a detail of the plaque at the left showing some of the intricate engraving.